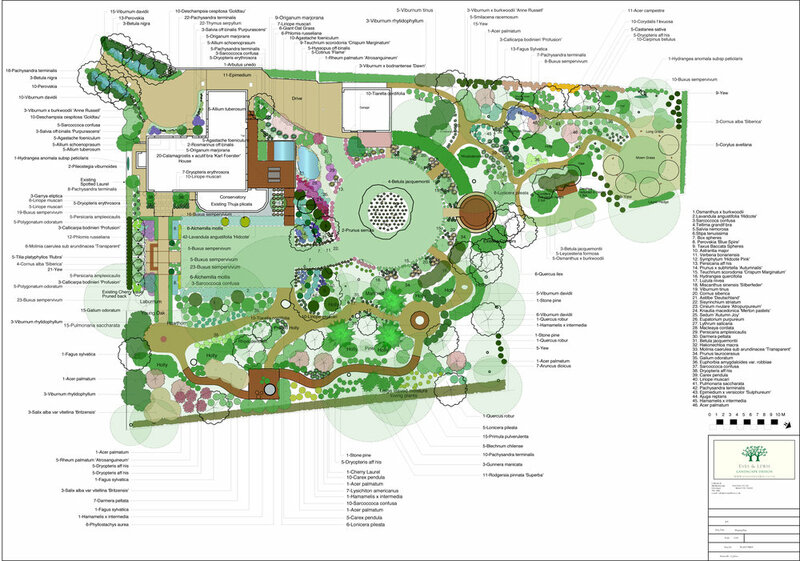 The planting plan shows each plant and tree at its ultimate spread, this shows how the space will be populated with plants in such a way that each plant is given its own space to mature. The planting plan is presented with a digital slideshow of images to show what each plant,tree or bulb looks like. Each plant is given its latin name in order to be sent to a wholesale plant nursery for quotes. Eves & Lewis Landscape Design also offer a planting service which provides plants at a reasonable cost, inbetween wholesale and garden centre prices. Plants are sourced from a variety of quality suppliers, some local, some further afield.